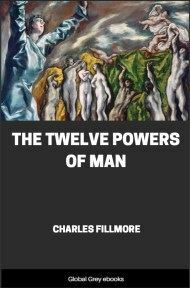 Charles Fillmore's treatise on the power of the mind and how to use the Unity method to develop it. 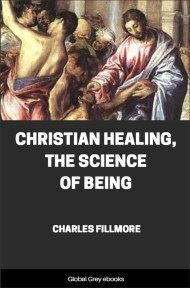 With a Christian slant, it also talks about divine healing. 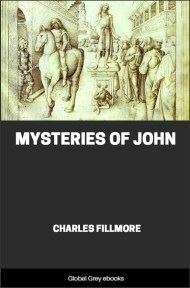 Chapters include: The Atomic Age; The Restorative Power Of The Spirit; Spiritual Obedience; I Am Or Superconsciousness; The Day Of Judgment; Thou Shalt Decree A Thing; Thinking In The Fourth Dimension; Is This God's World? ; Demonstrating Christ Thought By Thought; Truth Radiates Light; The Only Mind; Contact With The Christ Mind; Metaphysics Of Shakespeare; The Body; Faith Precipitations; The Seed Is The Word; The Resurrecting Power Of The Word; Transfiguration; and, The End Of The Age. THE MAJORITY of people have crude or distorted ideas about the character and the location of Spirit. They think that Spirit plays no part in mundane affairs and can be known by a person only after his death. "But Jesus said, 'God is Spirit'; He also said, 'The kingdom of God is within you.' Science tells us that there is a universal life that animates and sustains all the forms and shapes of the universe. Science has broken into the atom and revealed it to be charged with tremendous energy that may be released and be made to give the inhabitants of the earth powers beyond expression, when its law of expression is discovered. "Jesus evidently knew about this hidden energy in matter and used His knowledge to perform so-called miracles. "Our modern scientists say that a single drop of water contains enough latent energy to blow up a ten-story building. This energy, existence of which has been discovered by modern scientists, is the same kind of spiritual energy that was known to Elijah, Elisha, and Jesus, and used by them to perform miracles. "By the power of his thought Elijah penetrated the atoms and precipitated an abundance of rain. By the same law he increased the widow's oil and meal. This was not a miracle--that is, it was not a divine intervention supplanting natural law--but the exploitation of a law not ordinarily understood. Jesus used the same dynamic power of thought to break the bonds of the atoms composing the few loaves and fishes of a little lad's lunch--and five thousand people were fed. 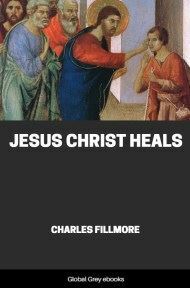 "The great modern revival of divine healing is due to the application of the same law that Jesus used. He demanded faith on the part of those whom He healed, and with that faith as the point of mental and spiritual contact He released the latent energy in the atomic structure of His patients and they were restored to life and health. "Have faith in the power of your mind to penetrate and release the energy that is pent up in the atoms of your body, and you will be astounded at the response. Paralyzed functions anywhere in the body can be restored to action by one's speaking to the spiritual intelligence and life within them. Jesus raised His dead bodies in this way, and Paul says that we can raise our body in the same manner if we have the same spiritual contact. "What have thought concentration and discovery of the dynamic character of the atom to do with prayer? They have everything to do with prayer, because prayer is the opening of communication between the mind of man and the mind of God. Prayer is the exercise of faith in the presence and power of the unseen God. Supplication, faith, meditation, silence, concentration, are mental attitudes that enter into and form part of prayer. When one understands the spiritual character of God and adjusts himself mentally to the omnipresent God-Mind, he has begun to pray aright. "The times are ripe for great changes in our estimate of the abiding place and the character of God. 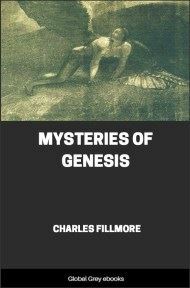 The six-day creation of the universe (including man) is described in Genesis is a symbolic story of the work of the higher realms of mind under divine law. It is the privilege of everyone to use his mind abilities in the superrealms, and thereby carry out the prayer formula of Jesus: 'Seek ye first his kingdom, and his righteousness; and all these things shall be added unto you.'" The foregoing extract is from the "Health and Prosperity" column in Unity for May, 1927. These comments are peculiarly applicable to the present and also to a subject that has been agitating the public mind for some time, the atomic bomb. 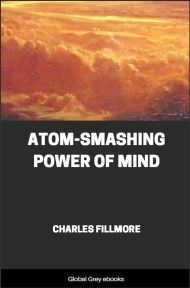 Of all the comments on or discussions of the indescribable power of the invisible force released by the atomic bomb none that we have seen mentions its spiritual or mental character. All commentators have written about it as a force external to man to be controlled by mechanical means, with no hint that it is the primal life that animates and interrelates man's mind and body.